 The primary purpose of the science program at Garces Memorial High School is to foster the intellectual growth of the students through an academically challenging curriculum with a moral scientific approach. An understanding of science, its purposes, principals, concepts and methods must be an essential part of the science education of our students. In order to live in a world of science and technology, a student must attain a degree of scientific literacy. Consequently, each portion of the scientific program has a specific role to play appropriate to the academic level of instruction and related to other subjects in the curriculum. The Science Department provides students with the necessary course-work for admittance to colleges and/or universities. Upper pision AP and Honors classes provide a background for students who plan to pursue science related fields. Classes are also provided for students who plan to pursue other fields of interest. The Physics First philosophy is designed to teach students about science in a logical manner in which the transitions between courses are logical and smooth, with each course building on the knowledge gained in the previous course. The developmental progression of learning is from concrete to abstract. For this reason, Newtonian physics should be first. It is by far, the most concrete of the sciences. The goal of the science department is to expose the student to the natural world as well as practice analytical thinking and scientific objectivity through the use of the scientific method. Students should formulate a testable hypothesis and demonstrate the logical connections between the scientific concepts guiding a hypothesis and the design of an experiment. They should demonstrate appropriate procedures, a knowledge base, and conceptual understanding of scientific investigations. Designing and conducting a scientific investigation requires introduction to the major concepts in the area being investigated, proper equipment, safety precautions, assistance with methodological problems, recommendations for use of technologies, clarification of ideas that guide the inquiry, and scientific knowledge obtained from sources other than the actual investigation. The investigation may also require student clarification of the question, method, controls, and variables; student organization and display of data; student revision of methods and explanations; and a public presentation of the results with a critical response from peers. Regardless of the scientific investigation performed, students must use evidence, apply logic, and construct an argument for their proposed explanations. A variety of technologies, such as hand tools, measuring instruments, and calculators, should be an integral component of scientific investigations. The use of computers for the collection, analysis, and display of data is also a part of this standard. Mathematics plays an essential role in all aspects of an inquiry. For example, measurement is used for posing questions, formulas are used for developing explanations, and charts and graphs are used for communicating results. Student inquiries should culminate in formulating an explanation or model. Models should be physical, conceptual, and mathematical. In the process of answering the questions, the students should engage in discussions and arguments that result in the revision of their explanations. These discussions should be based on scientific knowledge, the use of logic, and evidence from their investigation. This aspect of the standard emphasizes the critical abilities of analyzing an argument by reviewing current scientific understanding, weighing the evidence, and examining the logic so as to decide which explanations and models are best. In other words, although there may be several plausible explanations, they do not all have equal weight. Students should be able to use scientific criteria to find the preferred explanations. All Students who graduate from Garces Memorial High School must successfully complete 3 years of Science. Students must complete a freshman level physics course, a chemistry course, and a biology course. A fourth year of science is strongly recommended. Anatomy and Physiology is a senior level, biological laboratory science course. The course emphasis is on the study of human anatomy and physiology. It builds on biology course instruction on cell biology. Histology is introduced to bridge the concepts of the cell and the subsequent organ systems. Labs, which include dissection, illustrate the unique and specialized function of each system. Prerequisites: All students must have a grade of 85% or better in both chemistry and biology. This course fulfills a third year science requirement for the UC system. AP Biology is a college level course offered to seniors. This course is equivalent to an introductory biology course taken by biology majors during the freshman year of college. Biology (AP) differs significantly from the biology courses offered to juniors. The main objective of the course is to prepare students for the AP Exam offered each May. Significant time outside of class and dedication are required. Prerequisites: B or better in Chemistry (P) or (H) and B or better in Biology (H). Enrollment is determined by the science department faculty. This course fulfills a third year science requirement for the UC system and is approved by College Board. AP Chemistry is a college level course offered to seniors. This course is equivalent to an introductory chemistry course taken by all science majors during the freshman year of college. Chemistry (AP) differs significantly from the chemistry courses offered to sophomores. The main objective of the course is to prepare students for the AP Exam offered each May. Significant time outside of class and dedication are required. Biology is a junior level laboratory life science course. The content is comprehensive with current coverage of organic chemistry, molecular biology, cellular biology, genetics, evolution, animal diversity, ecology, and development. The labs are designed to practice lab skills, graphing, and to enhance inquiry and exploration. Honors Biology is a junior level laboratory life science course that moves quickly and covers the areas of biochemistry, cell structure, cell functions, cellular metabolism, genetics, gene expression, evolution, ecology, and animal diversity. Biological concepts are emphasized and reinforced. A term paper may be required. This course includes a final exam that covers all material from both semesters. The labs are designed to practice lab skills, graphing, and to enhance inquiry and exploration. Prerequisites: successful completion of Chemistry (P) with an 90% or higher or Chemistry (H) with a 80% or higher. Chemistry is a sophomore level laboratory chemistry course. This course includes the nature and classification of matter, structure of atoms, chemical bonds, molecular structure, chemical formulae, polyatomic ions, moles, types of chemical reactions, stoichiometry, and combined gas laws. The labs focus on scientific procedures and analysis. Honors chemistry is a challenging and rapid paced sophomore level science course. In addition to the material covered in Chemistry (P), Chemistry (H) will also include nuclear chemistry, entropy, redox reactions, and other topics as time allows. The labs focus on scientific procedures and analysis as well as inquiry science. Honors Physics is a senior level laboratory science elective. This course uses mathematical models to introduce the fundamental concepts that describe the physical world. There will a focus on computational and analytical problem solving. Labs will reinforce the principles in the course and many use computer based procedures. Enrollment is determined by the science department faculty. This course provides conceptually-based exposure to the fundamental principles and processes of the physical world. Topics include basic concepts of motion, forces, energy, heat, electricity, magnetism, and the structure of matter and the universe. Upon completion, students should be able to describe examples and applications of the principles studied. This course provides conceptually-based exposure to the fundamental principles and processes of the physical world. Topics include basic concepts of motion, forces, energy, heat, electricity, magnetism, and the structure of matter and the universe. Upon completion, students should be able to describe examples and applications of the principles studied. Additionally, students will gain experience in computational reasoning. Environmental Science focuses on the environment and human impact. Local field trips, field work, and data collection allow students to apply biological, ecological, and environmental concepts to the local environment. Course emphasis is on the environmental challenges that our community faces. Through field and laboratory activities, the course builds on experience in graphing, data collection, and mapping. Prerequisites: Completion of Biology (H) or Biology (P) and consent of instructor. Computer Applications is a freshman level, single semester course (5 credits) that focuses on learning Microsoft Word, Excel, and PowerPoint as well as iPad training. The purpose of this course is to enable students to become computer literate and to demonstrate skills necessary to be successful in their future education. Students will learn Microsoft Word, Excel and PowerPoint, and become more proficient at touch typing, and learn standard MLA formatting. This course is required for graduation and does not satisfy UC/CSU entrance requirements. The Life Science curriculum focuses on an understanding of environmental issues, change, cycles, patterns, and relationships in the living world. Students will learn these basic principles by exploring the cellular organization and classification of organisms, relationships among organisms within the environment and change as a result of genetic information. The Physical Science curriculum focuses on the fundamentals of physics and chemistry. Topics explored include scientific method, measurement, motion, Newton's laws of motion, momentum, energy, work, power, heat, thermodynamics, waves, sound light, electricity, magnetism, and chemical principles.